Raising bison is both unique and rewarding. RMBA offers insights into the animal, models for ranching and production, and a nod to their historical significance and challenged history. Bison meat is nutritionally a better option; it is lower in fat, calories and cholesterol than beef, pork and chicken. Join RMBA at an upcoming conference or ranch tour. 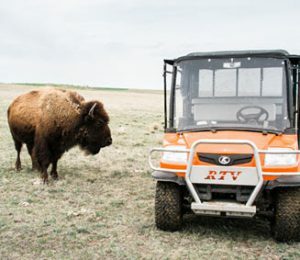 Whether you have animals or not, we welcome anyone interested in bison ranching. Find your place in a community dedicated to bison. Join the RMBA to be part of our regional bison family. All are welcome, whether you have animals, want animals, or just like bison. Stay tuned as plans for this this fall's gathering are underway!